Earth's Moon is ripped from orbit by a massive nuclear explosion and cast adrift in deep space. It is displaced further into the unknown by two space warps and into range of the volcanic planet Psychon, where the crew of Moonbase Alpha hope to obtain a mineral needed for their survival. But they are lured into a trap by Mentor of Psychon, who wants to drain their souls into a machine for energy needed to transform Psychon back to the paradise it once was. Mentor's daughter, Maya, who has the ability of personal molecular transformation, realizes how fanatical her father has become and helps the Alphans to stop her father. But in the struggle, Mentor's machine's power is released, triggering a series of explosions that cause cataclysm on Psychon and fevered distress in grief-stricken Maya. In the second part Koenig and Tony explore an alien ship while the moon passes through a space warp, leaving the astronauts stranded. Meanwhile, Maya is undergoing some strange disease that causes her to transform into a variety of berserker-like forms, including her deceased father Mentor. Regions are unavailable for this movie. 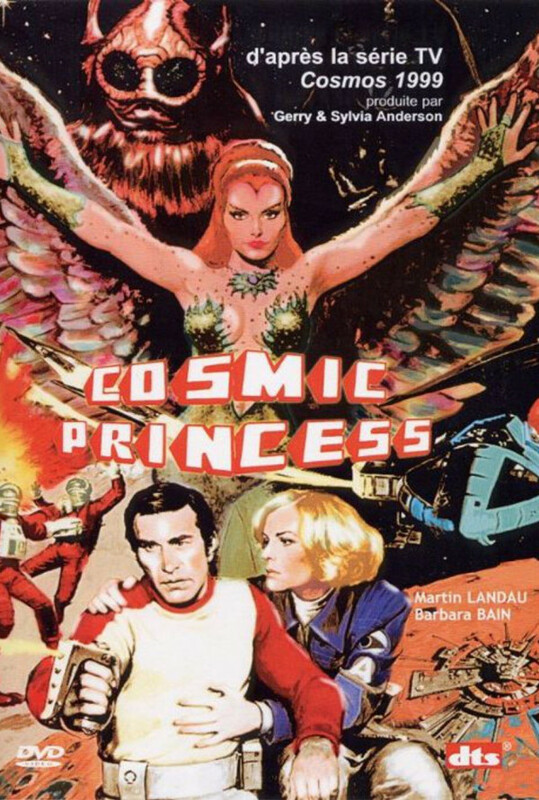 Click the "Watch on Netflix" button to find out if Cosmic Princess is playing in your country.